Limited or unlimited number delegates. Updating main event can update information of all sub events. Provide direction to a location/venue. Users can browse, register for your events from PC, laptop or any mobile devices. Different layout options to display events: Calendar, Timeline, List, Columns. Translate categories, events, registration form, email messages …to all languages on your site. Translate any language items from admin (no need to open and edit language files). There are multiple options which you can use to give discounts for your delegates. Early bird discount: Offer discount if delegates register before certain date. Members discount: Offer discount if delegates are members. Group registration rates: The more number of delegates, the lower price. Bundle discount: Offer discount if delegates for multiple pre-determined events. Late fee: Charge additional fee if delegates register after certain date. 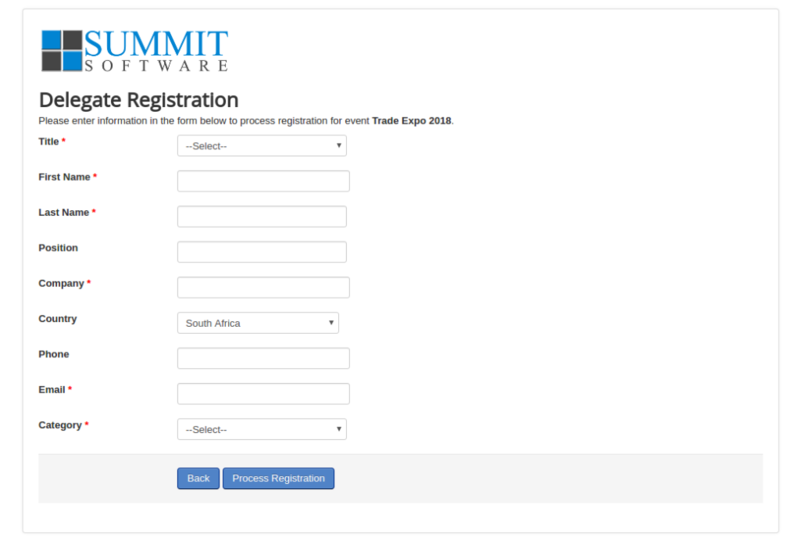 An unique, power feature of Events Booking allows you to charge delegates different registration fee base on what they choose/enter on registration form. Single selection (Radio / Single select). Example Adult : 100, Student 90, Children 30. Multiply value of different custom fee fields to calculate final fee. You can set maximum number of tickets which delegates can purchase for each type. Delegates can access to registration history page to view their registration history and edit information of registration records if needed. Choose to show/hide, require/not require any fields on the registration form. Create additional custom fields to collect any information you want from delegates. Registration integration option allows delegates to register for an user account while registering for an event. Option to assign custom fields to category or to individual event. Create coupon codes to give discount for delegates. Enabling deposit payment for an event will allow delegates to pay an upfront fee (determined by admin) while registering and pay remaining fee later (online payment or manually at the event). Enable waiting list allows users to join waiting list of an event when it is full. Later, if someone cancels the registration, admin can move these waiting lists users into delegates. Delegates can make payment for their registration easily using a payment gateway. Payment gateways supported include Paypal, Paygate, Authorize.net, Eway, Worldpay and Offline payment. Other payment gateways such as Stripe, 2Checkout, Authorize.net SIM (Server integration method), First Data, iDEAL Mollie are released as separate payment plugins. Generate PDF invoices and send to delegates for paid registration. Invoice format can be customized for each event. You can configure the system to send PDF tickets to delegates when they register for your events. Use QRCODE in tickets PDF to checkin delegates. Tickets PDF can be configured (on/off) per event. Each event can have it own tickets layout if needed. Generate QRCODE and send it to delegates in confirmation email or Tickets PDF. Use your mobile web browser, or mobile app to scan QRCODE and checkin delegates at the event. You can configure the system to generate certificates for your delegates. Certificate can be turned on/off for each event. You can use a general certificate layout (in configuration) or design it for each event. Delegates can download certificates after the event: From registration history or via download link in confirmation email. Confirmation emails sent to delegates when they register for an event. Mass Mail to send emails to all delegates of a selected event. Reminder emails sent to delegates (automatically by the system) to remind them X-days before the event starts. Notification email sent to administrator when delegates cancel their registration. Each event can have it own notification emails and email messages. Integrate with ACYMailing and Mailchimp to assign delegates into mailing lists powered by these system. Then you can use these system to send newsletters to delegates if needed. The mailing lists can be configured per event. Share your events on social networks such as Facebook, Twitter, Google+, Linked In… to get attention from more people. Add/edit registration records, add more delegates into an existing group registration. Approve offline payment registration (after receiving payment from delegates). Export/Import delegates to/from Excel, CSV file. Send mass mail to delegates of an event or to selected delegates. Resend email (in case delegates don’t receive it for some reasons). Delegates can access their registration history and edit their registration records. Manage delegates (find, create, edit, delete, approve, import, export delegates to csv). Manage coupons (create, update, delete, import, export coupons).